Desire, Love, and Alienation. While Cernuda’s pessimistic worldview has often been attributed to an introverted and sensitive character, critics also speculate that his melancholic, defiant poetic voice resulted from a painful sense of isolation brought about by his open homosexuality and years spent in exile abroad. Cernuda began writing poetry while still a law student at the University of Madrid. He became a protege of the poet Pedro Salinas, who helped him publish his first verse collection, Perfil del aire (Profile of the Air) in 1927. The poet's highly refined lyric verses showed the influence of Salinas and his contemporary, Jorge Guillen, among others, and received only a lukewarm reception. 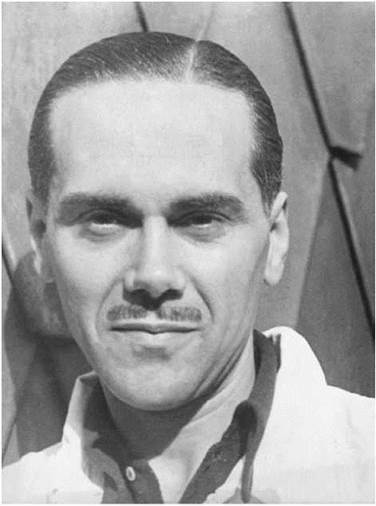 Cernuda began finding his own voice in two collections of surrealist-influenced poetry, Un rio, un amor (A River, a Love, 1929) and Losplaceresprohibidos (The Forbidden Pleasures, 1931). In these books, the poet experimented with incongruous word juxtapositions and spontaneous derivations from chance stimuli to express his sexual and metaphysical turmoil. These verses also introduce a number of recurrent themes in Cernuda's work: desire and its relationship to love and reality; the hopeless search for wholeness and a yearning for oblivion; a deep hostility to the city and its imprisoning social conformity; and a keen appreciation of the transcendent mystery of nature. Also present in the poetry is the poet's negotiation of his experiences of homosexual love, in defiance of his time and culture. ‘‘For Cernuda, love is a break with the social order and a joining with the natural world. He exalted as man’s supreme experience the experience of love’’ wrote Octavio Paz. In still-Catholic Spain of the early twentieth century, this exaltation of homosexual love as a joining with the natural world—while hardly without important poetic predecessors (for example, Walt Whitman)—met with much resistance. Cernuda published two additional important, surrealist-influenced collections in the mid-1930s, Donde habite el olvido (Where Forgetfulness Dwells) and Invocaciones (Invocations), before issuing the first edition of his definitive work, La realidad y el deseo (Reality and Desire), in 1936. A collection of new and previously published verse, this book was revised and expanded in subsequent editions to include most of Cernuda’s poetry. Critics have pointed out that La realidad y el deseo can be read as the poet’s emotional and spiritual autobiography. The book also chronicles Cernuda’s stylistic development over the years. War and the Pain of Exile. A predominant theme in La realidad y el deseo is exile—both the spiritual exile Cernuda felt in Spanish society and the physical exile he experienced after the Spanish Civil War. The poet denounces such hallowed Spanish institutions as the patriarchal family and the Catholic Church, and decries the backwardness, intolerance, and violence he finds in his homeland. Yet in many poems from the subsequent collections Las nubes (The Clouds) and Como quien espera el alba (As One Awaiting Dawn), Cernuda also reveals a deep, nostalgic longing for the Andalusian gardens and sea of his childhood. Along with many of his contemporaries in literature and the arts, Cernuda left Spain shortly before the Republican defeat of 1939—the triumph of General Franco’s dictatorship—and spent the remainder of his life in exile in Europe, the United States, and Mexico. In addition to his verse, which appears in English translation in The Poetry of Luis Cernuda (1971) and Selected Poems of Luis Cernuda (1977), Cernuda published several highly regarded critical texts on modern Spanish poetry, including Estudios sobre poesia espanola contemporanea (Studies on Contemporary Spanish Poetry, 1957) and Poesia y literatura (Poetry and Literature, 1960). William Carlos Williams (1883-1963): One of the most celebrated U.S. poets of all time, Williams was associated with both modernism and imagism and was also a practicing physician for many years. Salvador Dali (1904-1989): The quintessential surrealist painter, Dali was born in Spain, but was fond of highlighting his Arab descent, tracing his lineage to the Moors who occupied southern Spain for close to eight hundred years. Fulgencio Batista (1901-1973): Military dictator of Cuba until his 1958 ousting by Fidel Castro's guerrilla movement; his downfall signaled the success of the Cuban Revolution. James Joyce (1882-1941): One of the most highly regarded literary figures of the twentieth century, this Irishman is best known for his short stories and novels. These include Dubliners (1914), A Portrait of the Artist as a Young Man (1916), Ulysses (1922), and Finnegans Wake (1939). Jorge Luis Borges (1899-1986): Borges's novels are beloved around the world, and he is considered by many to be the preeminent Argentine writer and thinker of the twentieth century. Dwight D. Eisenhower (1890-1969): Eisenhower was the thirty-fourth president of the United States, from 1953 to 1961; prior to his presidency, he commanded the Allied forces in their defeat of the Axis powers in Europe during World War II. A Return to the Real, and Beyond Influenced by early nineteenth-century German lyric poet Friedrich Holderlin, Cernuda abandoned surrealism in Invocaciones (1934) in order to present his increasing personal alienation as a metaphor for the modern human condition. Cernuda’s wider scope is further elaborated in La realidad y el deseo (1936), which critics term his ‘‘spiritual autobiography.’’ Consisting of previously published and unpublished collections, this volume was revised on three occasions and ultimately encompassed nearly all of Cernuda’s poetic work. As reflected in the title, which translates as ‘‘Reality and Desire,’’ these poems reflect Cernuda’s attempt to transcend reality and to achieve self-affirmation through understanding and fulfilling personal desires. Philip Silver commented: ‘‘As Cernuda employs it, deseo is eros, a ‘desirous longing for.’ It is the product of the radical solitude, the gesture of seeking to bridge the gulf between the poet and ‘otherness,’ for to desire is, in Cernuda’s vocabulary, to long to be one with, and to be, the object of that desire.’’ In Cernuda’s poetry, sexual love ultimately gives way to poetic expression and nature as vehicles for eternal transcendence. Doctor Faustus (1947), a novel by Thomas Mann. Nobel Prize winner Mann wrote this book in the United States, after fleeing both Nazi Germany and Switzerland during World War II. This novel is a fictional return to the Germany Mann left, and an attempt to come to terms with the society that had forced him out. One Day in the Life of Ivan Denisovich (1962), a novel by Aleksandr Solzhenitsyn. Drawn from the author's experiences in internal exile within the Soviet Union, this novel traces the steps of a prisoner in one of Joseph Stalin's forced-labor camps and focuses on the human response to a reduction to bare survival. The Stone Face (1964), a novel by William Gardner Smith. The Stone Face is the story of an African American man who has fled the oppressive racism of the United States, only to find that what had seemed a safe haven in France is predicated on his complicity in French racism against Algerians. Though an exile in France, Smith's protagonist realizes that solidarity with the oppressed is the only viable option, even when that threatens his own status. Luis Cernuda’s relationship with the reading public was uneasy from the outset of his poetic career. Although some reviews of his first book were encouraging, even enthusiastic, most were decidedly negative. Cernuda’s reaction was bitter, though understandable in light of his total commitment to his craft—a craft that involved deep challenges to some of Spain’s most cherished and intolerant institutions. Such an early and unflinching commitment also explains what was at times described as his fragile temperament and his unusual sensitivity to criticism. On the other hand, Cernuda was not only a most gifted poet but also a very acute reader of poetry— that of others as well as his own—and perceptive enough to realize that his continued experiments in poetic innovation would eventually earn him the attention of critics. Desolation of the Chimera. In Luis Cernuda: A Study of the Poetry (1973), Derek Harris describes Desolacion de la quimera as ‘‘an attempt to summarize the lessons [Cernuda] has learnt from the long investigation of himself. This final collection of poems is his own conclusion to his life, produced under the shadow of a presentiment that he was soon to die, a presentiment that turns this book into a poetic last will and testament designed to leave behind him an accurate self-portrait and a duly notarized statement of his account with life.’’ Besides the occasional pieces and personal reminiscences, the principal topics dealt with in the collection are still love, Spain, and exile, as well as a series of poems on artists and on aesthetic experience. Love and art had been the central facts of Cernuda’s existence. It was of fundamental importance at this late stage of his life for him to reassert them as the sufficient, powerful justifications of his being. 1. It is often mentioned as a mark in a poet’s favor that his or her poems are universal. But much of what poets write about—such as Cernuda’s experience of being homosexual in early twentieth-century Spain— is deeply personal. What do you make of Octavio Paz’s assertion that Cernuda ‘‘is the poet who speaks not for all, but for each one of us who make up the all’’? Is this different from writing ‘‘universal’’ poems? If so, how? If not, why not?. 2. Research the significance of Spanish settings and history for Cernuda’s poetry. Why do you think Cernuda was so drawn to the traditions of a culture from which he felt deeply alienated? Support your thesis with detailed analyses of two to five poems. 3. Consider Desolation of the Chimera as a capstone to Cernuda’s career. Does this seem like an intentionally ‘‘final’’ book? Why or why not? 4. Read the poem ‘‘Otras ruinas’’ alongside two other modern poems about cities (by poets other than Cernuda—perhaps Octavio Paz or Charles Baudelaire). Compare and contrast ‘‘Otras ruinas’’ with the other two poems you have chosen, considering the poets’ differing attitudes toward time, the city, and modernity. Barnette, Douglas. El exilio en la poesia de Luis Cernuda. Ferrol, Spain: Sociedad de Cultura Valle-Inclan, 1984. Coleman, Alexander. Other Voices: A Study of the Late Poetry of Luis Cernuda. Chapel Hill: University of North Carolina Press, 1969. Harris, Derek. Luis Cernuda: A Study of the Poetry. Melton, England: Tamesis, 1973. Hughes, Brian. Luis Cernuda and the Modern English Poets: A Study of the Influence of Browning, Yeats, and Eliot on His Poetry. Alicante, Spain: Universidad de Alicante, 1988. Jiminez-Fajardo, Salvador, ed. The Word and the Mirror: Critical Essays on the Poetry of Luis Cernuda. Rutherford, N.J.: Fairleigh Dickinson University Press, 1989. Paz, Octavio. On Poets and Others. Trans. Michael Schmidt. New York: Seaver, 1986. Quirarte, Vicente. La poetica del hombre dividido en la obra de Luis Cernuda. Mexico City: Universidad Nacional Autonoma de Mexico, 1985. Silver, Philip. “Et in Arcadia Ego’’: A Study of the Poetry of Luis Cernuda. Melton, England: Tamesis, 1965. Brown, Ashley. ‘‘Cabral de Melo Neto’s English Poets.’’ World Literature Today 65 (Winter 1991): 62-64. Enjuto-Rancel, Cecilia. ‘‘Broken Presents: The Modern City in Ruins in Baudelaire, Cernuda, and Paz.’’ Comparative Literature 59, no. 2 (Spring 2007): 140-57.